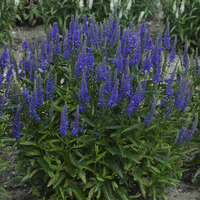 Salvia 'Azure Snow' PPAF CPBRAF | Walters Gardens, Inc.
A dazzling new addition to the COLOR SPIRES® Perennial Salvia Collection! 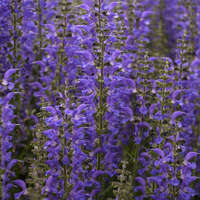 'Azure Snow' brings incredible refinement to the intriguing bicolor category of Salvia. 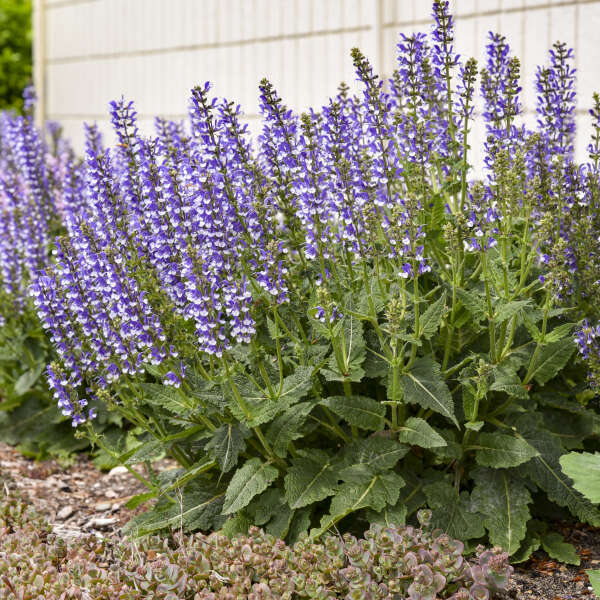 'Azure Snow' produces a refined, compact clump of deep violet blue and white bicolor flowers with attractive dark green foliage. Flowers are evenly and closely spaced on the stem for a full, polished look. 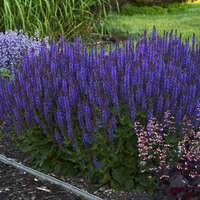 Salvia is a staple for every sunny garden. 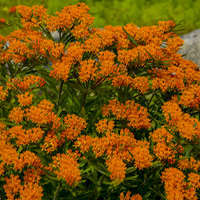 It asks little more than sunshine and a little drink every once in a while in return for producing a bountiful mass of colorful flower spires from late spring into early summer. Bulk the summer prior to sales for best results. 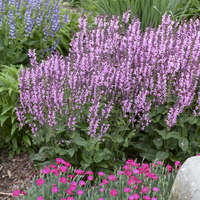 Salvias are light to moderate feeders, requiring only modest amount of fertilizer. Apply a constant liquid fertilizer at 50ppm nitrate at each watering. 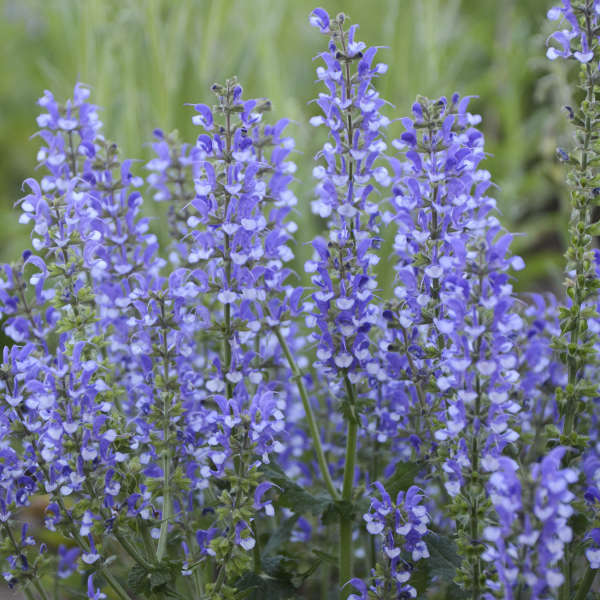 Not required to flower but is beneficial. 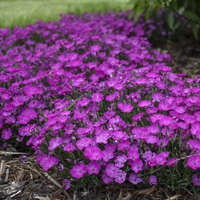 If planting plugs in summer provide 8-10 weeks of cold. Scale, whiteflies, spider mites, aphids, beetles, stalk borers, aster leafhopper and others, plant bugs, caterpillers, nematodes, greenhouse leaf tier (Oeobia), greenhouse orthezia(Orthezia). Rot(Sclerotium), bacterial blight(Psudomonas), leaf spots, Botrytis blight, damping-off, powdery mildew(Erysiphe), downy mildew(Peronospora), Verticillium wilt, stem rot(Sphaeropsis), rusts, root rots, viruses. Root Trimming: Roots can be trimmed to fit container. 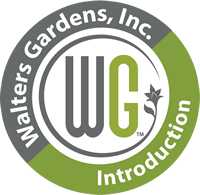 Water plants thoroughly and let plants dry out between waterings. Overwatering can lead to root and crown rot. Plant crown even with soil level. 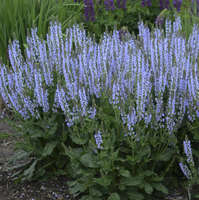 It is beneficial to pinch plants from plugs to increase lateral branching. For height control use B-Nine at 2500 ppm 2-3 times at weekly intervals. 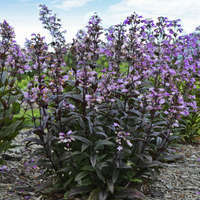 Salvias will flower best under long days. 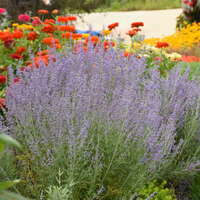 Plant plugs in late summer for best results or choose bare root for a quick turn spring planted crop.